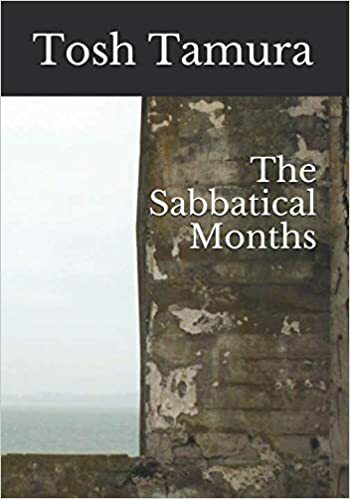 After encouragement to share my story, I’ve published my first book, The Sabbatical Months. Without writing experience, my path began from experimental writing, to the creation of this blog and now to print. This is a travel through poetry of my six month journey healing from darkness. The preface of the book is included below. I was not a writer, nor a poet. I was just a guy who was living life the best I could and suddenly found himself surrounded by darkness. After years of suppressing the stress of life and career, I took the unusual step of hitting pause and stepped off the path to stop, reflect and heal. Although that was my intention, I had no idea how to get there. I don’t know why I picked up a pen to write. The only poetry that I had written was decades ago for a high school assignment. It was an uncomfortable feeling to expose myself on paper, especially since I am not one to share what is inside. But the words came and I tried capturing them as best as I could. Most of the poems were written in the moment, without multiple drafts to perfect the message or grammar. Many of the poems have overlapping phrases, images or sentiments. I only noticed this after the sabbatical when re-reading my writing in aggregate. Although tempted to exclude some of the poems that felt a bit repetitious, I later decided against it because these words reflect the true outpouring of the moment. These phrases or themes are the result of a part of me that needed time to birth, grow, age and eventually move on. Others still remain with me either waiting their turn to depart or continuing to make themselves at home within me. Everything has their own time. Such is life. The following is raw and unrefined. It reflects six months of healing where I faced my own darkness, accepted who I am, revisited memories of my past and eventually was able to move forward. My life is still a work in progress. The only difference now is understanding how to coexist with the darkness. Sometimes I may win, other times not. However, the journey from these sabbatical months provided me the strength to continue on. The following pages reflect this journey. This is me. Any comments or support is appreciated. Please click on the link below to view my book on Amazon. Is it possible to recycle only the memories of my choosing?